Coulter Family Dentistry strives to make their Knoxville dental office feel like an escape and their team to feel like your family. They bring together their love for teeth and people to make an impact on your health. The dental office isn't everyone's favorite place to be, they get that. 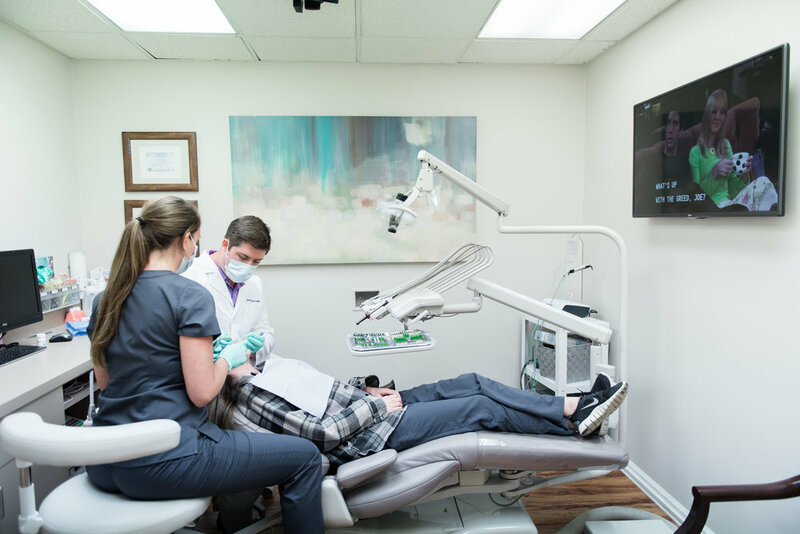 Your dental visit will be very relaxing and they encourage you to take advantage of the complementary paraffin hand wax, heated memory foam massage chairs, and Netflix on your own personal TV. 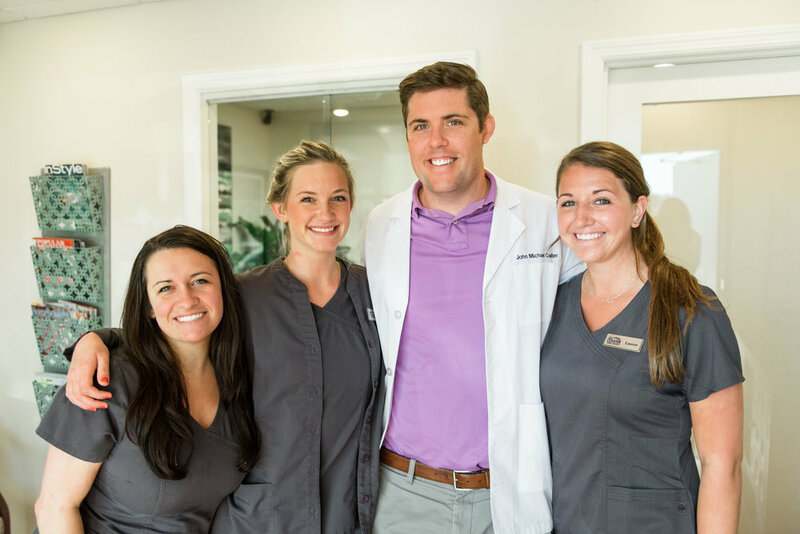 The team at Coulter Family Dentistry loves serving the Knoxville Community and they can't wait to give you the dental care you deserve! Dr. John Coulter, owner, was born in Knoxville and raised a Vol fan. He met his wife, Ashley Robins Coulter, in elementary school. They began dating while attending high school in Knoxville, and the rest is history. Together, the Coulters have one son and one daughter. When it is not football season, Dr. Coulter enjoys spending time at the neighborhood pool or taking a family hike up House Mountain. They love exploring Knoxville and with two little ones, even a trip to Target can be quite the adventure. Dr. Coulter is committed to his patients and to delivering high quality dental care. 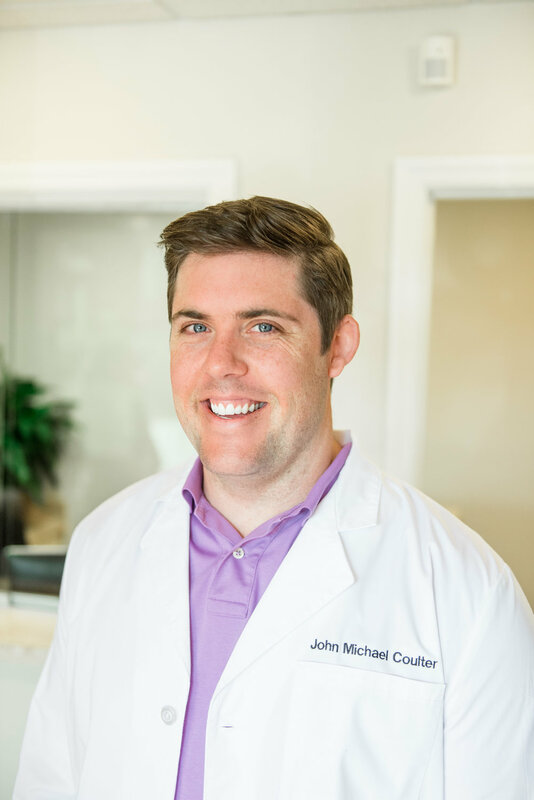 In order to provide his patients the best possible care, Dr. Coulter has completed advanced training in general dentistry. After dental school Dr. Coulter did three years of additional training at UT Medical Center. This training emphasized disciplines such as Invisalign, pediatrics, cosmetic dentistry, dental implants, root canals and many other procedures. Dr. Coulter currently serves as adjunct faculty within the Department of General Dentistry at UT Medical Center. He loves all things dentistry, but his patients are who keep him motivated to be the best he can be.